As a writer, you learn quickly to develop a thick skin. People on the Internet will comment about, for example, how you can’t write, or how your husband is inevitably going to leave you, or how your particular style of writing is entirely responsible for any man leaving any woman, ever. And you take it, and eventually learn to laugh at it, because it’s part of the gig. You will get rejections, you will get bad reviews, you might even get nasty emails. It comes with the territory. If you want to write for a living, you better learn to accept it or get out of the game. So it takes a lot, these days, for a review or reporter to rattle me. I can shrug off nastiness quickly. I usually share any particularly harsh feedback with my family, because if we can’t all laugh together, where’s the fun? But a reporter asked a question recently that really irked me. I’ve been thinking about it ever since, and I know I got pretty defensive when it first came up. I tried to keep a reasonable tone, to answer the question thoughtfully, but that the question would even be asked, well, pisses me off. 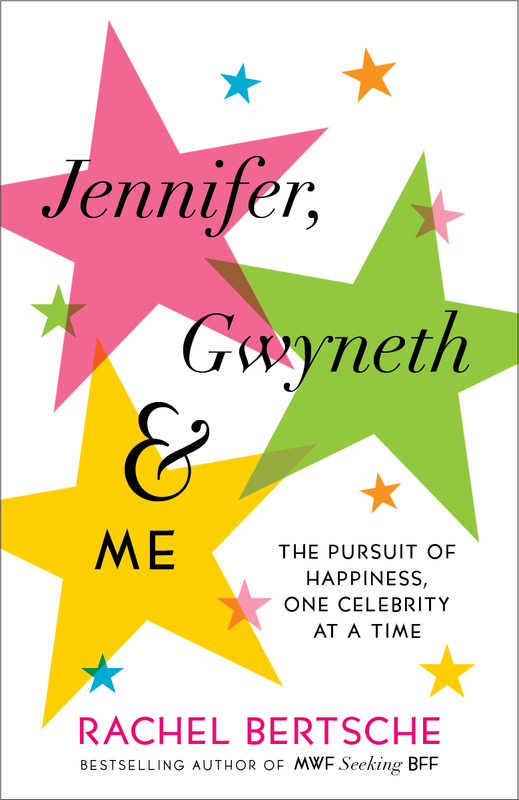 It was an interview for my new book, Jennifer, Gwyneth & Me: The Pursuit of Happiness, One Celebrity at a Time, in which I write about trying to make my life a little bit more fabulous by emulating some of the stars who seem to have it all. Jennifer Aniston. Sarah Jessica Parker. Jennifer Garner. Tina Fey. In one of the chapters, I talk extensively about trying to cook like Gwyneth Paltrow. I mention that my husband—not much of a cook himself—especially enjoyed the home-cooked meals. I also write throughout the book about my longing for a baby, and about my infertility struggles. I was so taken aback that I had to ask the reporter to repeat the question, and even then I had to repeat it back to her to be sure I understood it correctly. I am a feminist. I believe that women are equal to men, and that all women should have the right to choose and live the life we want. I believe that whatever decision we make—whether it is to have a family or not, to cook for a romantic partner or not, to work or not, to shave our armpits or not, whatever—is valid as long as we’ve made it for ourselves. Our lives should not be chosen for us. Other people’s ideas of what makes a woman should not dictate what our rights look like. The idea that you can only be a feminist if you reject the notions of starting a family or wanting to cook for someone else or wanting to feel better about your body, is ludicrous. My daughter brings me joy. Putting a meal that I’ve created in front of my husband every now and then makes me proud. I am a feminist because those are choices I’ve made. No one made them for me. My husband has never demanded a home-cooked meal. I didn’t have my daughter because someone said, “you better start popping out kids soon.” These are choices that make me happy. My career also makes me happy. And so does playing sports. And so does leaving my daughter with my husband for a weekend so I can get some much needed me-time. If another woman chooses to eschew kids and marriage and pursue a different path, I support that, too. Women shouldn’t have to apologize for not wanting to get married or for choosing career over kids. But I shouldn’t have to apologize for wanting the cooking and the kids, either. I am a feminist—home cooking, baby and all.